Shinjushiro Initial Sdn Bhd (1105926-T) Formerly known as Shinjushiro Trading & Services is one of the Malaysia's LEADING wholesaler and supplier with our manufacturing team located at Kepong to provide full range of one Stop commercial Hygiene Products such as toilet paper, tissue, napkin, environmental-friendly cleaning chemical, washroom and cleaning equipment. We have established since November 2009 from a small office in Klang. Today we are expanding to a shop lot by moving to Cheras in order to serve our customer better with our own lorry to ensure delivery in time. Our mission is aim to become the best service provider with timely delivery to your door step besides supplying quality hygiene & cleaning chemical products in Malaysia and overseas. 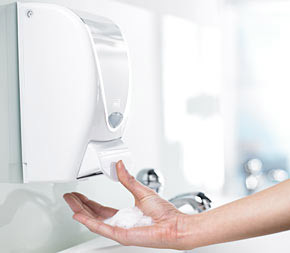 At Shinjushiro, we are not just supplying our one stop Hygiene products but also to provide solutions to our valued customer by offering our professional advices and consultation. Among our valued customer whom has benefit from our services and products are Corporate company such as I-CITY BERHAD,TOP GLOVE GROUP, HOSPITAL MALAYSIA,UTUSAN MALAYU,PETRONAS, MALAYSIA AIRLINE, Malaysia Kastam, Kajang Medical Centre, Budget Hotels, schools, café, shopping mall and so on just to name a few to fulfill our customer satisfaction. We are strongly believed that with our quality services and combination of our specialist, knowledge, and experience, we always build a long term business relationship with our clients. 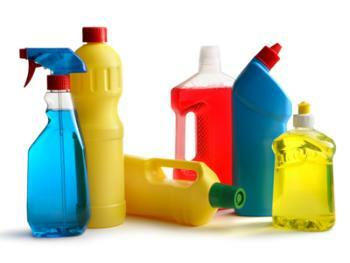 With the wide selection of Eco-friendly Cleaning Chemical, we always ensure that we are meeting all your commercial and industrial cleaning and maintenance needs in high professional standards and at the best price.